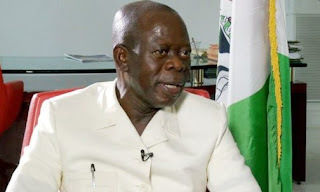 Adams Oshiomhole, National Chairman of the All Progressives Congress (APC), has said the party would involve "women of substance" to persuade aggrieved members. He stated this after the inauguration of the committees on Wednesday, stating that the committee would involve women because they have the "special gift of persuasion". Oshiomhole also noted that the committee, which includes the aggrieved governors, would deliver on ensuring peace within the party. His words: "We are convinced that these committees that include all our governors who we believe — not as if they don’t have any reservations whatsoever, if the world was to be a perfect place, but in spite of that they are at home; they are at peace with the party and they are working hard to ensure that the party delivers in their respective zones — that we can call on them to help us in this process of peace-building, mediating and helping us to reconcile those who are aggrieved for whatever reason. "Whether they are right or they are wrong, the important thing is somebody is unhappy we have a duty to try and make the person happy. "We also realise that sometimes women have the special gift of persuasion. Sometimes, just looking can just disarm somebody who is so aggrieved. So, as you can see it, in these committees, we will make sure we have enough, as they say, ‘women of substance’, who have all the gifts to persuade, to bring harmony, to dilute you know, the heart of those who are ready for war, to convert them to peacemakers."